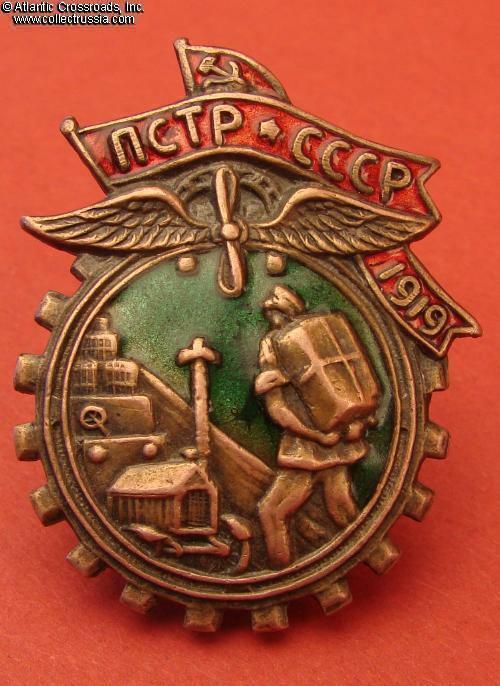 Trade Union of Transportation Workers, membership badge, Type 2, circa mid 1920s. 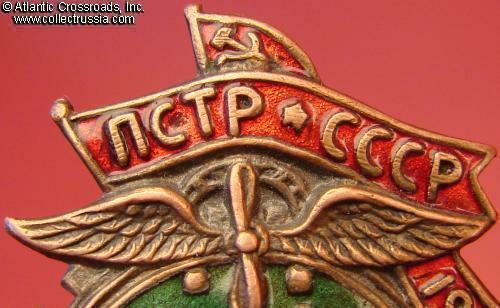 In brass and enamels; 38.2 x 29.5 mm. 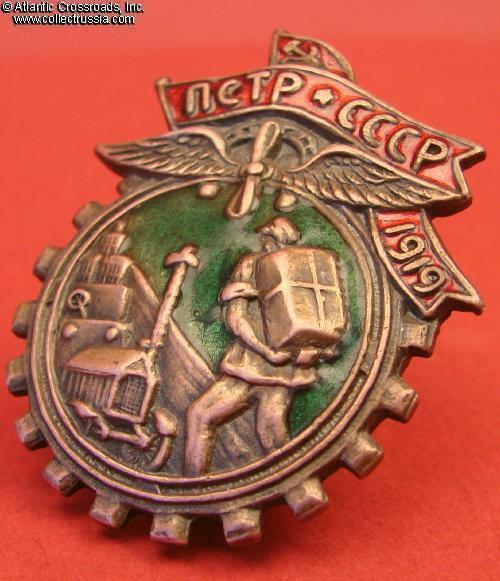 The "1919" date is the year of the establishment of the trade union. 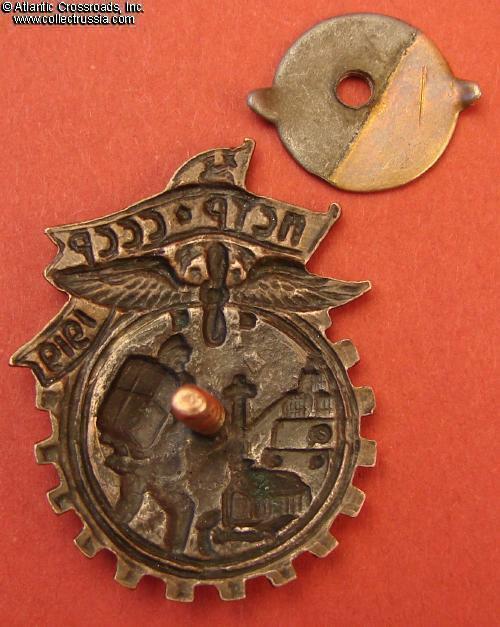 In excellent condition, outstanding for a badge of this vintage. The enamels are completely intact. 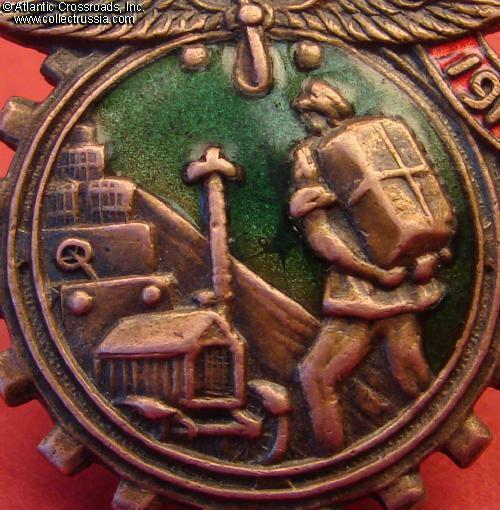 Raised details of the merchant, truck and wings are exceptionally well preserved and crisp. 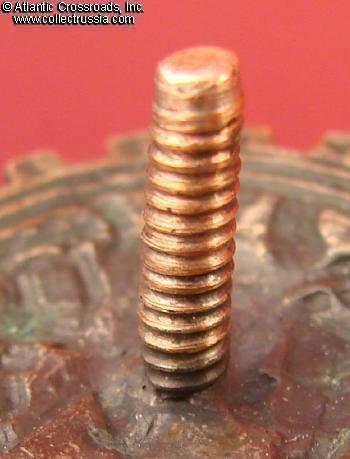 Wing nut is a period replacement but functions well with the original, full length screw post. /"Avers 8", p. 262, fig. 1275b/.